William Goldstein feat. 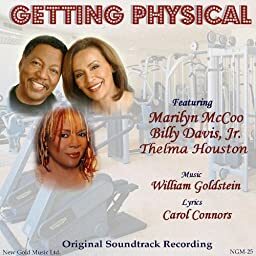 Marilyn McCoo, Thelma Houston & Billy Davis Jr.
William Goldstein, Marilyn McCoo & Billy Davis Jr. feat. Marilyn McCoo, Thelma Houston & Billy Davis Jr.
Thelma Houston feat. Marilyn McCoo, Thelma Houston & Billy Davis Jr.